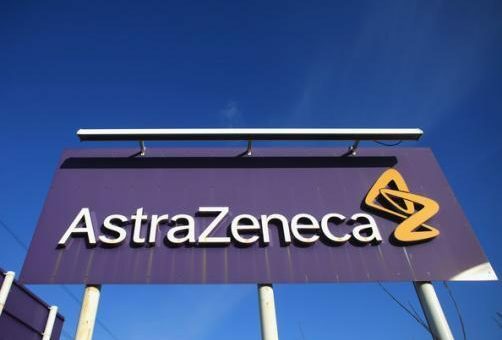 AstraZeneca is hoping to boost its respiratory pipeline in a deal potentially worth more than $2 billion with US biotech Pieris Pharmaceuticals. The companies plan to develop inhaled drugs based around artificial proteins known as anticalins. These are engineered proteins mimicking antibodies by binding to sites on either proteins or small molecules – but as they are smaller than monoclonal antibodies they could be delivered directly to the lung. The collaboration could provide AZ with a successor to its benralizumab, a monoclonal antibody that is in late stage development for severe asthma and chronic obstructive pulmonary disease. AZ hoped for sales of around $2 billion from benralizumab in around four years’ time, but GlaxoSmithKline has already got its rival Nucala (mepolizumab) to market in severe asthma, and a year ago Teva got its Cinqair (reslizumab) for maintenance of severe asthma approved. Under the collaboration, Massachusetts-based Pieris will advance its preclinical lead drug, PRS-060 into phase 1 trials this year. PRS acts against interleukin-4 receptor alpha (IL-4Ra), with potential in asthma. AZ will fund all clinical development and marketing programmes, while Pieris has the option to co-develop and co-market in the US from phase 2a onwards. In a large proportion of asthma patients, the Th2 pathway plays an important role. IL-4 and IL-13 are the main cytokines involved in Th2-mediated asthma. Both signal using IL-4Rα, making it an important intervention point. Inhaled delivery may allow for a lower dose than antibody therapy, AZ noted. The companies will develop four other novel anticalins against undisclosed targets for respiratory disease. AZ will make upfront and near-term payments to Pieris worth $57.5 million and Pieris could receive development-dependent milestones and commercial payments for all products of up to $2.1 billion, plus royalties on sales of any products marketed by AstraZeneca. The deal is a coup for the biotech, which relocated to Boston around two years from Germany following a successful IPO. Since then it has struck R&D deals with Servier and ASKA Pharmaceutical. AstraZeneca has licensed its respiratory drugs Tudorza (aclidinium bromide) and Duaklir (formoterol+aclidinium) to Circassia, which was desperate for a “plan B” after abandoning its allergy treatments following a series of failed trials.